After a busy end of year at 77 The Hill, we are keen to not only repeat the success of 2017 but improve and go beyond it. Look out for some Customer feedback forms coming soon. It’s really important to be the best we can be and not become complacent…. We were delighted to be incredibly busy over the Christmas period and we are taking advantage of a usual quieter time following the New Year, with training and brainstorming! There are lots of things happening in the hairdressing world at the moment and we will be passing on new knowledge and different products to our clients. 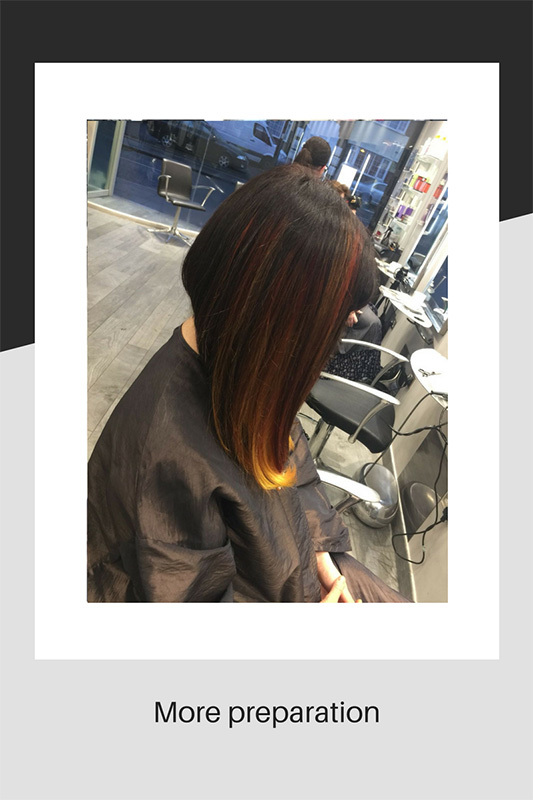 Condition of the hair is key and with every new lightening product plus existing ones, containing Fibreplex, we can confidently lighten hair without losing any of the elasticity. Not only that, by following a simple salon to home routine, the bonds broken during the lightening process are repaired ensuring your best ever hair condition. 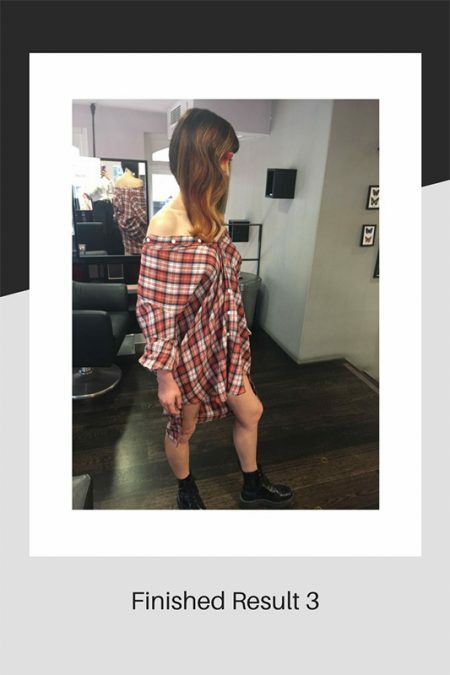 Leanne is now a fully-fledged stylist and to help her along we have introduced a half price offer on most services on Tuesdays and Wednesdays ** (T’s & C’s apply). She is really looking forward to showing clients what she can do and building new relationships. 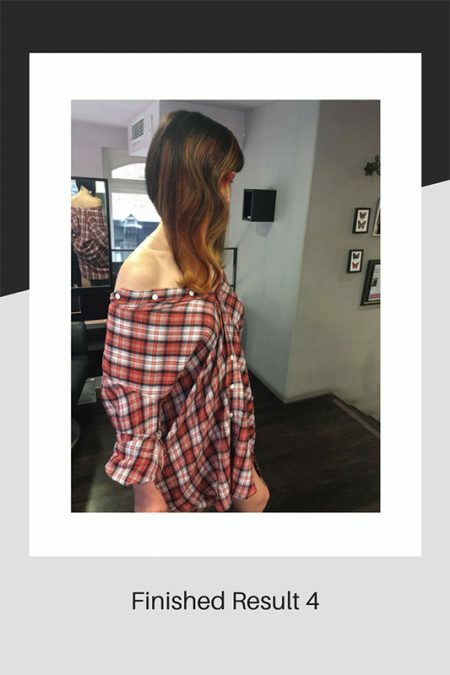 Appointments can be booked online 77thehill.com, come into the salon or call us. A few months ago, Hannah started on a journey to enter a prestigious competition. 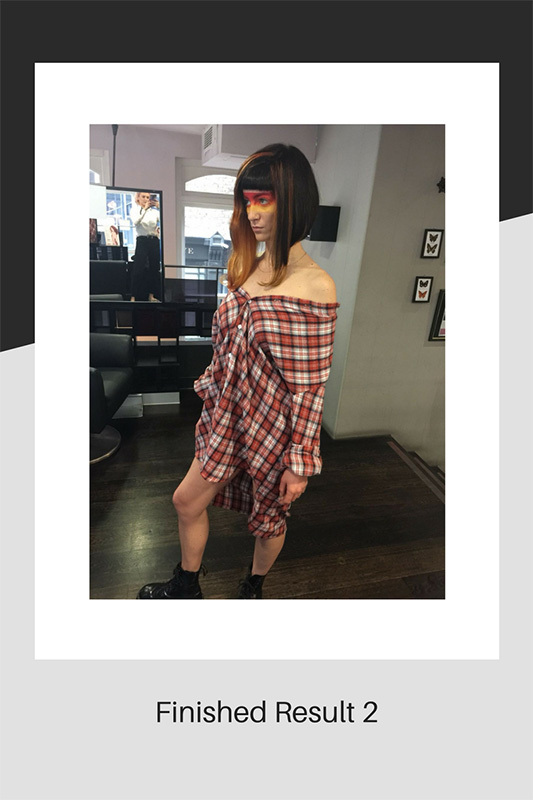 If she won, it would mean a year in the Schwarzkopf Young Artistic Team attending training sessions and shows around the UK and beyond. The application process was lengthy – Hannah had to create a mood board showing work that she admired and that would best describe her artistic side. It had to include a theme of something that could turn in to a finished model on the final day. 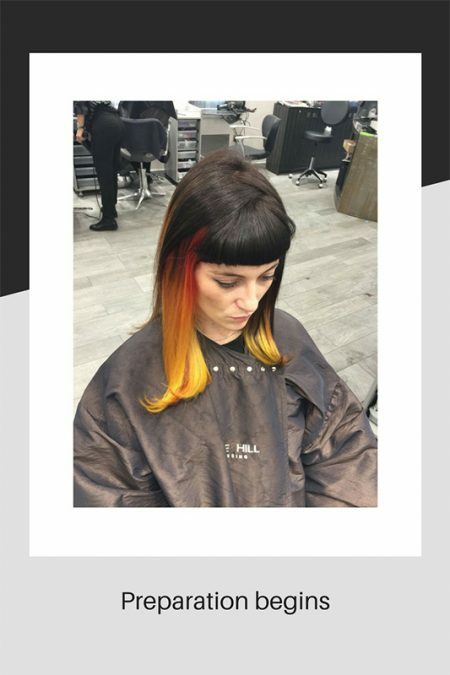 She then made a short video describing her mood board and telling a little bit about her own hairdressing style and after filling in a thought-provoking form we waited …..
Not long after, we received an email saying Hannah had made it to the final! 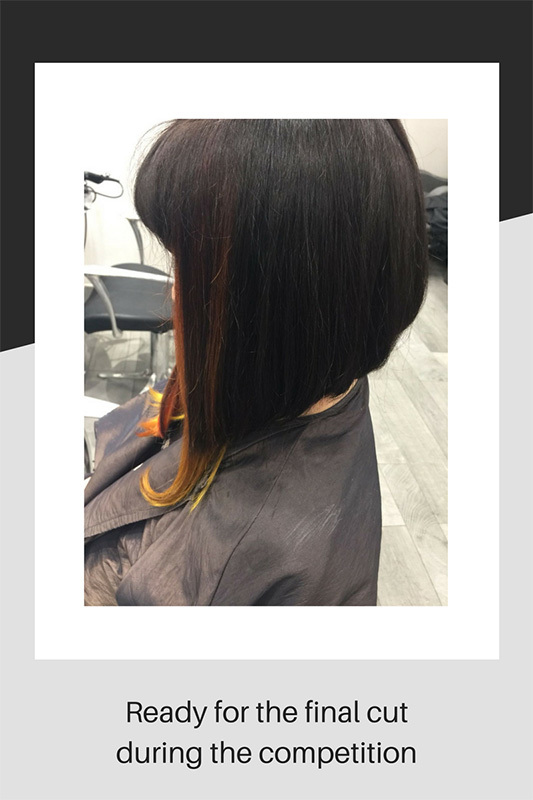 We were absolutely buzzing for her and she set to with planning her finished result. 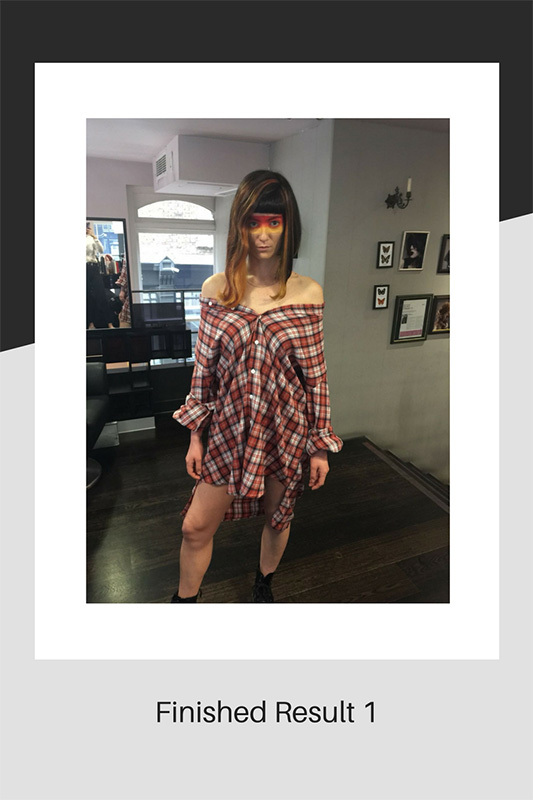 For this, Hannah had to find a suitable model, cut and colour her hair, dress her and use makeup to finish the look. Her wonderful model, Mae, made a trip all the way from Scotland to enable Hannah to practise and to attend the final day of the competition. We accompanied her to Easton Regal Salon in Clerkenwell, however, we were only allowed to stay for 5 minutes and had to leave her to it. We all enjoyed a hearty breakfast and a short shopping trip to Oxford St whilst we waited to hear from her. Eventually we got a call to say she was ready and we went to meet her to find out how she got on. The competition was tough and Hannah had been told that she wouldn’t find out the result for a few days. Well…. We didn’t have to wait too long and sure enough, we are delighted to tell you that she won a place in the Young Artistic Team and training starts in March! We are very proud of Hannah’s achievement and are so looking forward to sharing her progress with you over the next year. We would also like to say a huge thank you to Mae for being a wonderful model – without it, it could have been a different story! Congratulations to her – hard work and focus, pays off!